Summary: Google is in the process of enabling consumers to execute P2P transactions through its Google Assistant. What to expect in the next few months, when it goes live. Did you hear that researchers from the University of Leeds and Lancaster University in the UK have found a compound in green tea may prevent heart attacks and strokes? The compound reportedly dissolves proteins that form deposits in the arteries. That is good because those deposits reduce blood flow to the heart and brain, which leads to heart attacks and strokes. 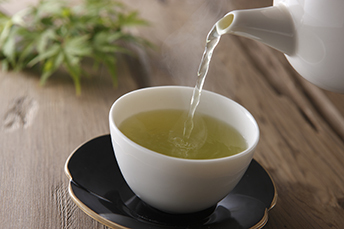 So, you may want to drink more green tea to stay healthier. The innovations and explorations seem to never stop in the health world. In banking, we recently gave you an update on the innovation, Peer-to-Peer (P2P) payments, but the latest news couldn't wait. It now appears as though voice activated P2P payments could become a reality within the next few months. Google is in the process of enabling consumers to execute P2P transactions through its Google Assistant using both Android and iPhone smartphones and tablets. To do so, you will need the Google app and Google Assistant installed on your device(s), including your Google Home smart speaker system and a Google account with Google Pay. Once that is done, Google says people can use the service to both send money and request payments from anyone in their list of contacts. Recipients of P2P payments who do not have existing Google Pay accounts will be guided through the steps to set one up, so that they can access any funds sent to them. Users will merely need to give a command, such as "Hey, Google, send $25 to Dad" and the transaction happens. To verify that the voice making such a command is actually that of the account owner(s), payments will still need to be authorized using a password or a fingerprint scan through a device. Google is not the first to market with voice activated P2P payments, as users of Apple's Siri have been able to make such payments through PayPal since late 2016, but clearly the move to dominate the space is underway. For its part, Amazon's Alexa will soon be able to handle P2P voice commands as well. What is significant though is that experts now predict it is only a matter of time until voice activated P2P payments, without the need for additional verification, become a reality. This likelihood only increases, as all three of these major tech providers vie for an early hold on this nascent market. Quick consumer adoption of mobile payments and voice activated services means community banks should be thinking about how to play too. According to TSYS's latest Consumer Payment Study, up to 25% of households actively use a voice activated system vs. just 1% of homes 2Ys ago. Also, more than 33% of consumers say they would be comfortable making payments that rely on voice recognition as a means of authenticating an account's owner. As expected, younger adults are the largest users of voice activated devices. About 41% of those 25-34Ys own such systems vs. 17% of those 55Ys or older. Similarly, when it comes to a willingness to use voice activated systems to make a payment, 75% of consumers 24-44Ys say they would be willing to do so. This compares to 67% of consumers 45-54Ys and 37% of those 55-64Ys old. We realize that this is something that not many community banks will do in the early stages. But things could move fast, so we wanted to alert you at least to this recent development. 1) Two bank holding company Merchants Bancorp ($3.7B, IN) will acquire Farmers-Merchants National Bank of Paxton ($115mm, IL) for an undisclosed sum. 2) Seacoast National Bank ($5.9B, FL) will acquire First Green Bank ($731mm, FL) for about $132.6mm in stock (100%) or about 1.75x tangible book. 3) Northwest Bank ($9.5B, PA) will acquire Union Community Bank ($577mm, PA) for about $85mm in cash (50%) and stock (50%) or about 1.72x tangible book. 4) CapStar Bank ($1.4B, TN) will acquire Athens Federal Community Bank ($482mm, TN) for about $113.5mm in stock (100%) or about 2.09x tangible book. 5) First Mid-Illinois Bank & Trust ($2.8B, IL) will acquire Soy Capital Bank and Trust Co ($437mm, IL) for about $70.4mm in cash and stock or about 1.85x tangible book. 6) Southern Bank ($1.8B, MO) will acquire First Commercial Bank ($223mm, MO) for about $22.7mm in cash (50%) and stock (50%) or about 0.98% capital as adjusted at closing. 7) Unified Bank ($488mm, OH) will acquire First National Bank of Powhatan Point ($59mm, OH) for about $6.8mm in cash and stock. Citigroup said job automation suggests it could eliminate almost 50% of its 20k technology and operations staff over the next 5Ys. No Marijuana: (originally published 6/20/18) The comments we represented from Fed Chairman Powell on marijuana were incorrect. After checking with other sources, we found that he said the current marijuana situation "puts the supervisors in a very difficult position", so he wants to see it clarified. We apologize for any confusion.